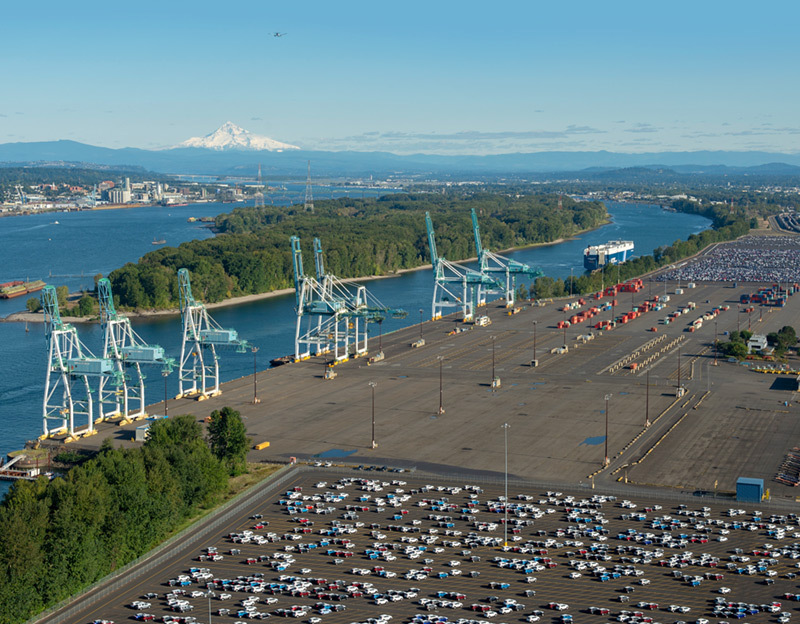 Located just to the south of Terminal 6 on the northwest edge of the Port’s 2,800-acre Rivergate Industrial District. 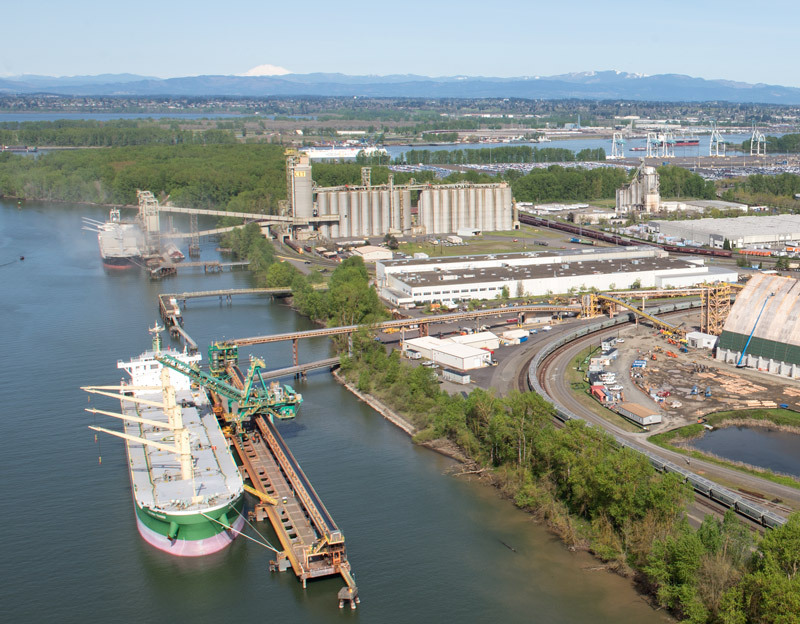 Terminal 5 and its 159 acres hosts a rapid-handling grain elevator operated by Columbia Grain and a potash export facility operated by Portland Bulk Terminals for Canpotex. Grain terminal leased and operated by Columbia Grain, Inc.
Potash, a nutrient used in fertilizer, is one of the dry bulk products moved through Terminal 5. Canpotex recently completed a terminal expansion to boost production capacity from 3.5 million metric tons per year to a total of 7.5 million metric tons per year. 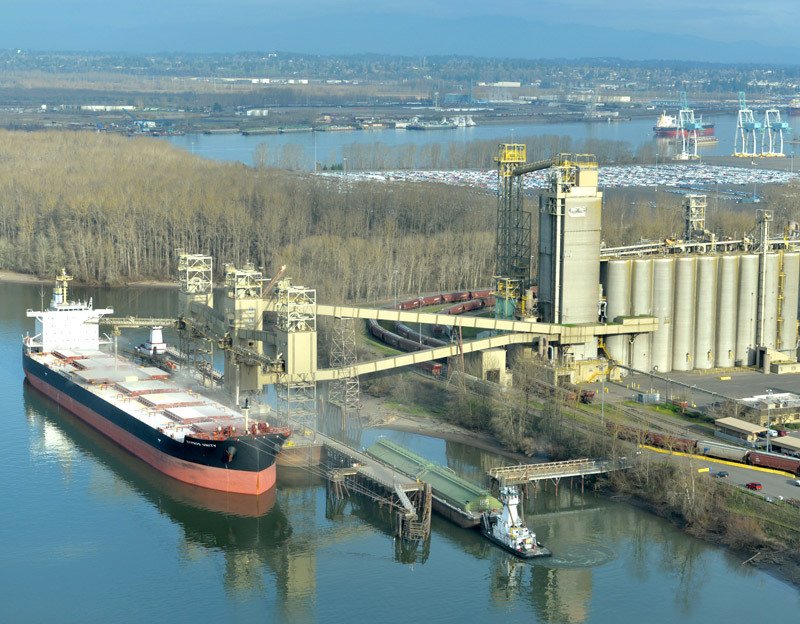 A top local commodity, Oregon grown bulk grains are exported to Japan and other parts of the world. 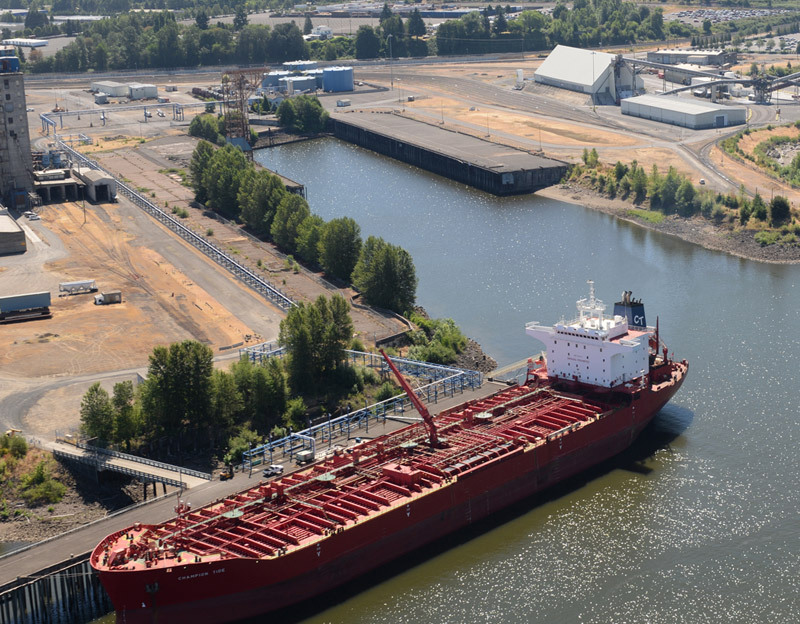 In 2017, more than four million short tons of grain moved through Portland. Historians have even referred to the Columbia River as a “river of grain” for its strong connection in moving the crop. 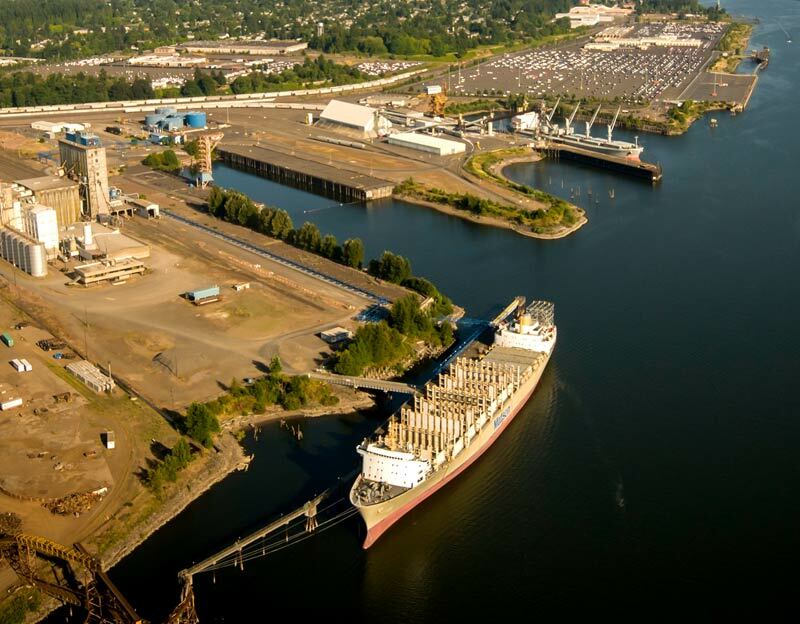 In 2016, more wheat was exported from the Port of Portland than from any other U.S. seaport. 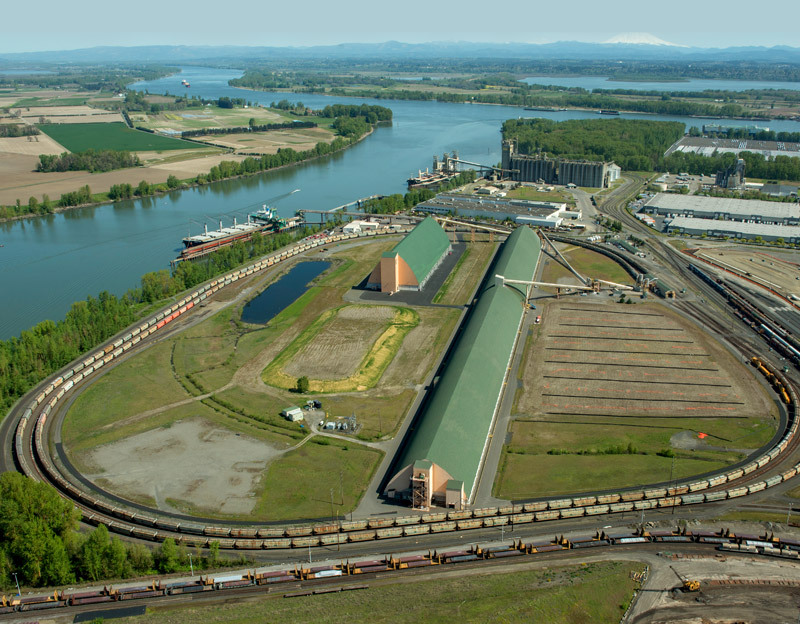 Around 90 percent of Oregon grown wheat is exported overseas. 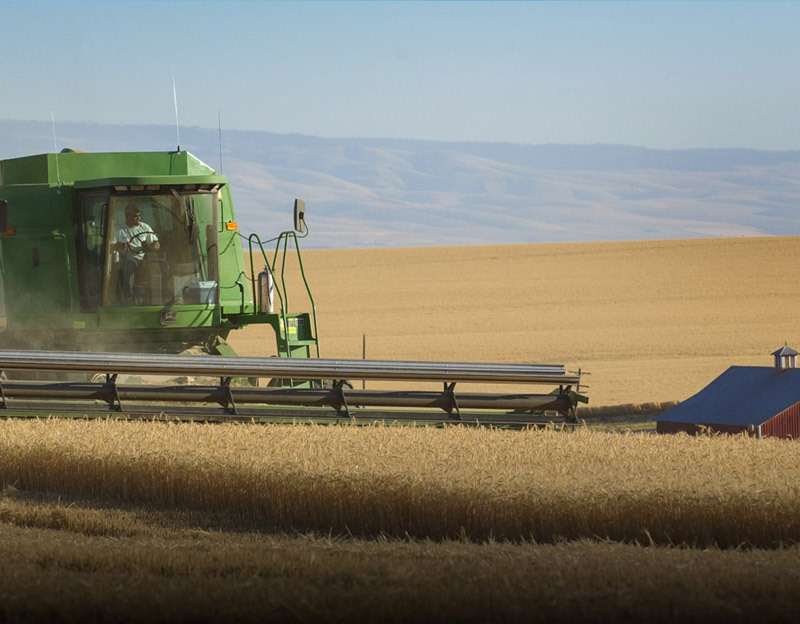 From farm to table, learn how wheat grown here helps feed the world and boost our economy. International Raw Materials handles a variety of liquid fertilizer products. The global company delivers liquid material fertilizers used to grow healthy, sustainable crops in farming systems around the world. An updated pipeline rack system at the terminal was constructed in 2010 to cater to specific tenant needs.